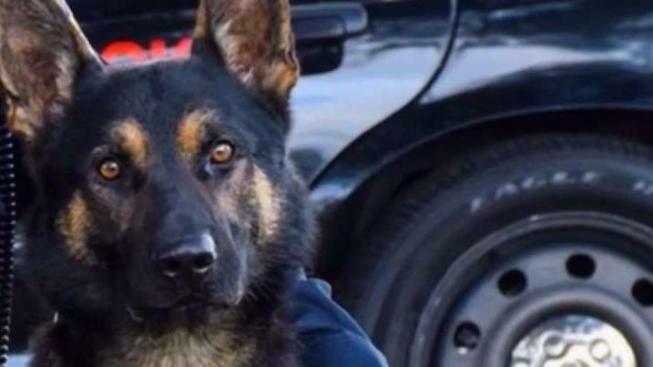 The Sunnyvale Department of Public Safety said its K9 officer, Jax, was fatally stabbed while trying to help subdue a knife-wielding man before police shot and killed him. Police on Wednesday said the man also stabbed his girlfriend, who is recovering at a hospital. The incident was reported at 1 p.m. Tuesday on the 500 block East Weddell Drive. Arriving officers sent Jax after the suspect, which the suspect stabbed and killed, according to police. Police then shot the suspect. "I was quite terrified," neighbor Kirby Tate said. "You hear about it all the time, but being so close to it -- literally five minutes earlier it could've been you." 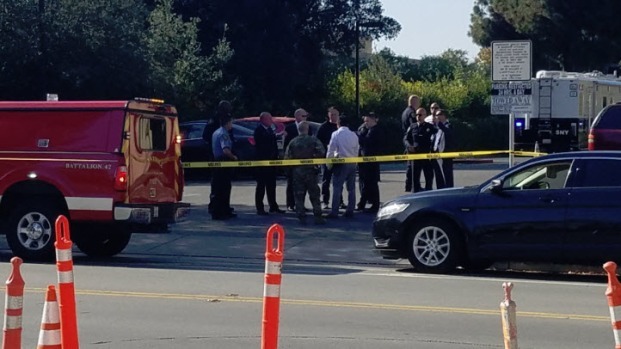 A stabbing suspect and police K9 are dead following an officer-involved shooting in Sunnyvale, police said. Scott Budman reports. Sunnyvale DPS Chief Phan Ngo said Lt. Emmett Larkin shot the suspect, Jesus Birekas-Contreras, after he threw his knife at the officer. "Lt. Larkin fired his service weapon to defend himself," Ngo said. Jax, a German Shepherd, had been a member of Sunnyvale DPS for two years and was involved in 26 arrests. Flags at public safety facilities are now at half staff. "It's been a devastating loss," said Jeffrey Hunter, Sunnyvale DPS public information officer. "A lot of people within the department are very upset and members of the community as well." Ngo said a memorial service is being planned for Jax. Lt. Larkin is on paid administrative leave while the district attorney investigates the officer involved shooting.